The recent passing of actress and cultural pioneer Mary Tyler Moore received the usual global media interest, with emphasis on her eponymous 1970-1977 television series that had her portraying a single, career-oriented professional when, up to that point, women had been relegated to the role of married foils to working husbands. The continued steep decline in local media was revealed again when no reports on her death mentioned that Moore filmed a movie for TV here in Halifax in the summer of 2003. 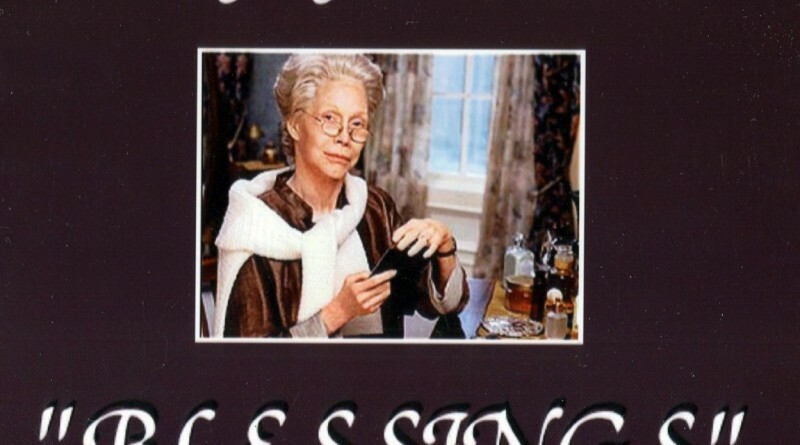 Blessings was adapted from journalist and author Anna Quindlen’s 2002 novel, and told the story of an eccentric 82-year old woman played by a heavily made-up Moore, whose life is revitalized by the arrival of a baby, dropped off anonymously on her doorstep. Local actors Cory Bowles and Laura Regan provided supporting roles, and the project was broadcast on CBS in October, 2003, right after the catastrophic landfall of Hurricane Juan in Halifax. That might be responsible for the mass amnesia in Nova Scotia concerning the project. There were, in fact, two movies filming in the South End of Halifax throughout the Juan disaster, and they distinguished themselves by providing electricity through their generators for some of their neighbours after the power went out. Whether Blessings was one of those films remains a question that perhaps the greater public can answer. Still, to have such an important media figure in our midst doesn’t seem to faze Bluenosers much (we’ve played host to the likes of Charlton Heston and Kirk Douglas over the years ), but it is a reminder of the reach of Nova Scotia’s motion picture production scene.